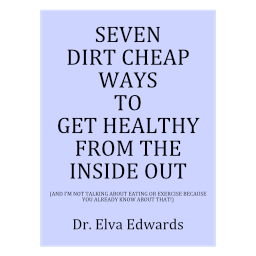 January 2016 – Dr. Elva Edwards, D.C.
Want to be a Maid? We are all toxic but some people are more toxic than others. If we have bacteria, virus, parasite or fungus in our bodies, they have their own waste products. Our body is their “hotel.” And we are the maid. That is why it is important to stay clean (get rid of the organisms) on the inside of your body. Other easy detoxification measures are: add a slice of lemon to your water, take a walk, jump on a mini-trampoline, sweat, and drink plenty of water. And don’t forget to smile! The organ that is most often needing support is the liver. It has over 500 functions. It is the real worker in the body helping us detoxify. Eating non-processed foods will help support the liver. One vegetable that is particularly helpful is the beet. It would be great to have beets once a week. I prefer the fresh beets to the canned. I slice them and put them in my steamer and when done, sprinkle them with a good quality salt. Yum Yum. I also love them grated in a salad. Enjoy the red beets and know that your liver will thank you!! If you want to make an impact on your children’s lives, teach them to cook. I’ve been surprised at how many people do not cook. They order take out or eat out. Only when you prepare your own food do you know what is in it. The extra salt, fat and sugar provided in take out and restaurants will not serve your health. Let’s get back to basics with cooking. Let your children help you cook, prepare vegetables and serve dinner. It doesn’t need to be fancy. Simple food is the best food. Family dinner is the time to share the love. Make mealtime healthy for the body and soul by sharing good food and good stories of your day! It will make your heart smile! HAPPY NEW YEAR!! Welcome to 2016! May we be Healthy, Wealthy, and Wise! We are deep into winter in Colorado and that means dry skin. Be careful in your choice of skin products because they go into your body. I have a bottle of olive oil in my shower. After I shower with soap, I step away from the water and put a little olive oil in my hand and rub it all over my body. Then I step back into the water and let any extra oil be rinsed off. It feels great. CAUTION: be careful not to slip if you drop any oil on the floor of the shower.